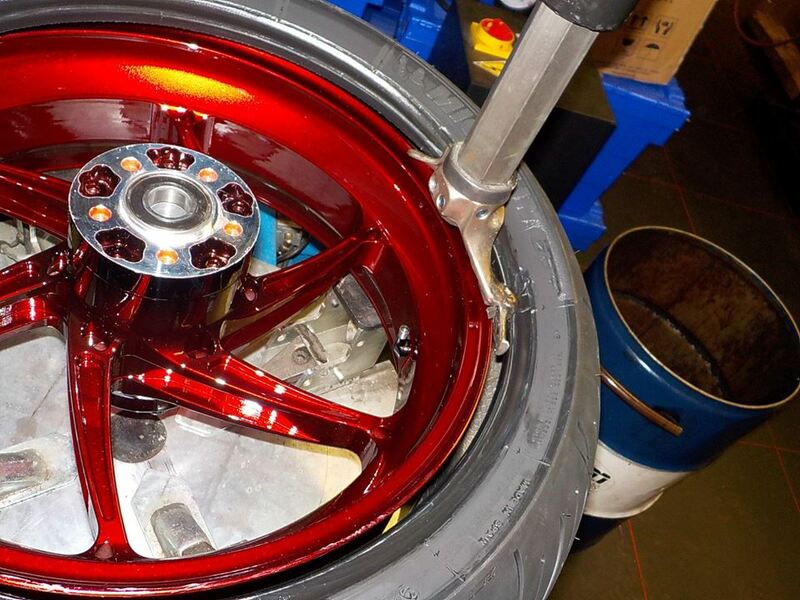 bling... nice wheels , very nice paintwork.. holidays are over... time to get's things moving — bij Twin Motorcycles Buell Support forever. 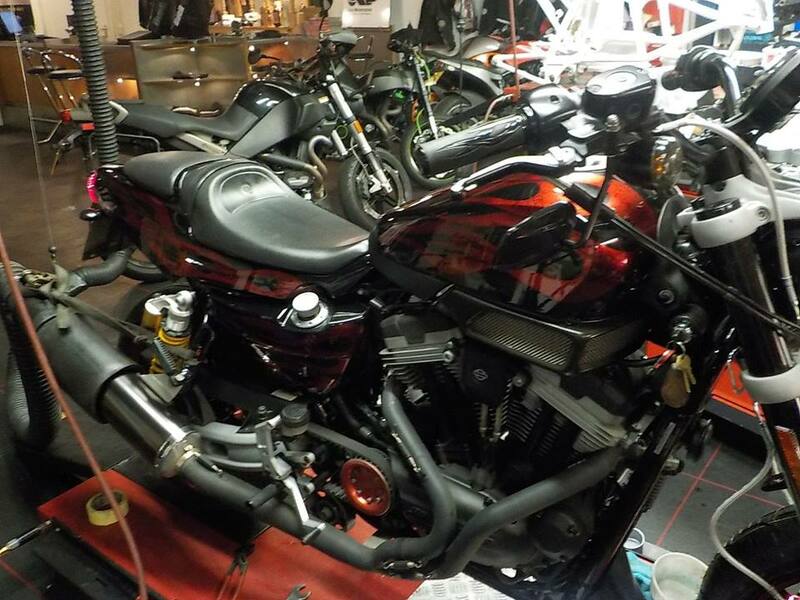 matches the custom paint job on the bike very well— bij Twin Motorcycles Buell Support forever. 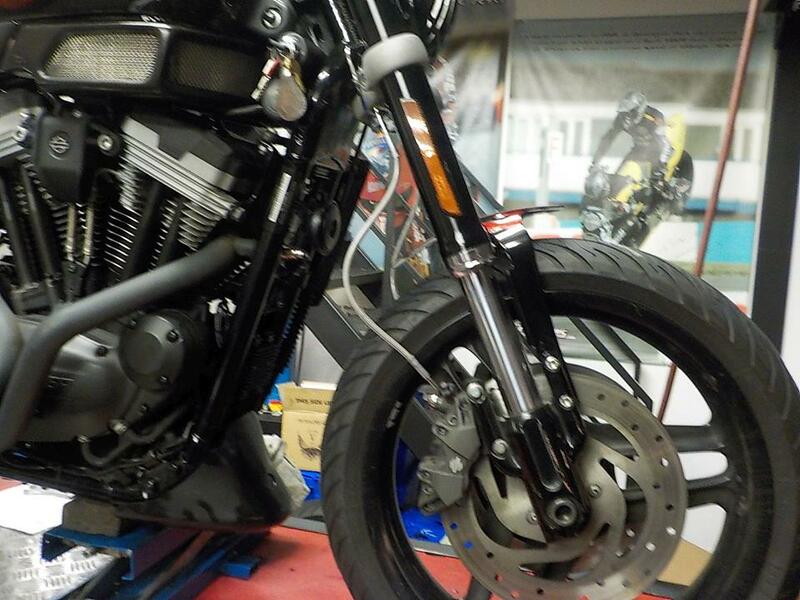 at first mount the valves in the wheel — bij Twin Motorcycles Buell Support forever. 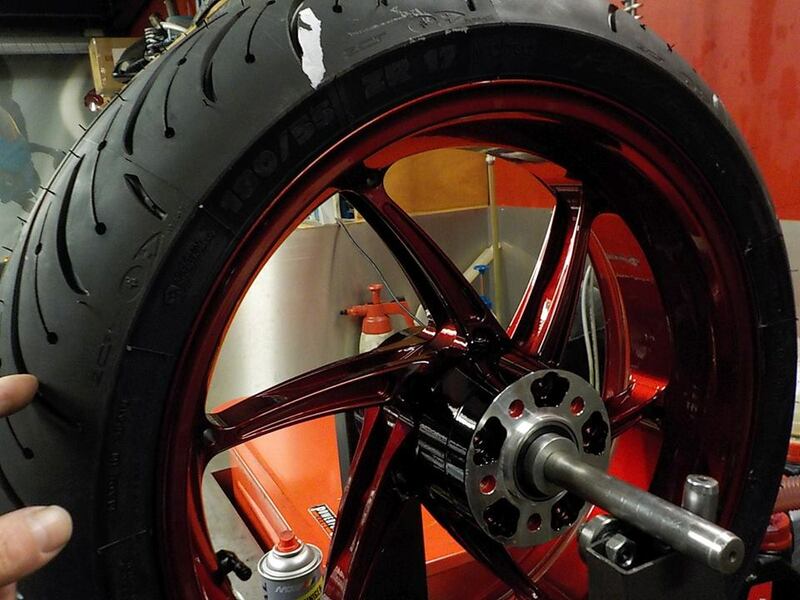 and very carefully mount the tire.. ;-) — bij Twin Motorcycles Buell Support forever. 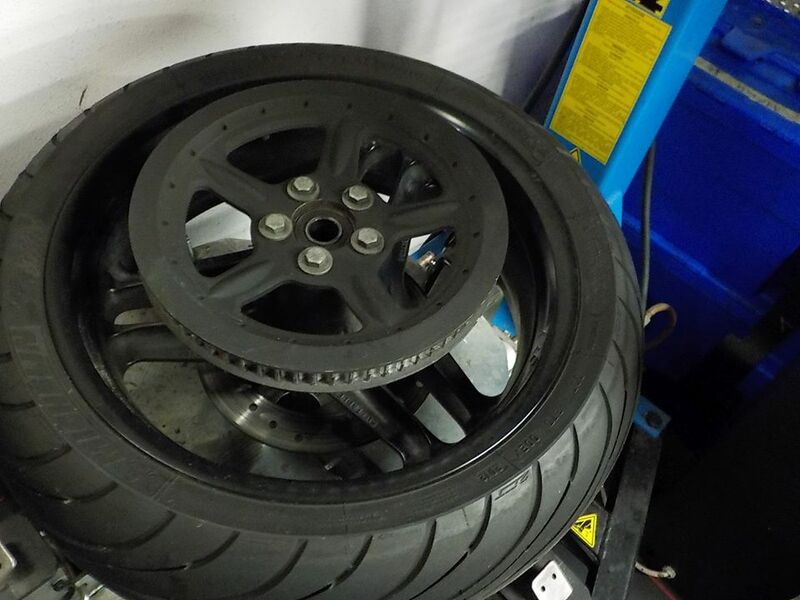 customer asked no balance weights... with the light wheel and good tire.. not a issue.. i don't think he will feel the little that is in ( less than 5 grams ) — bij Twin Motorcycles Buell Support forever. 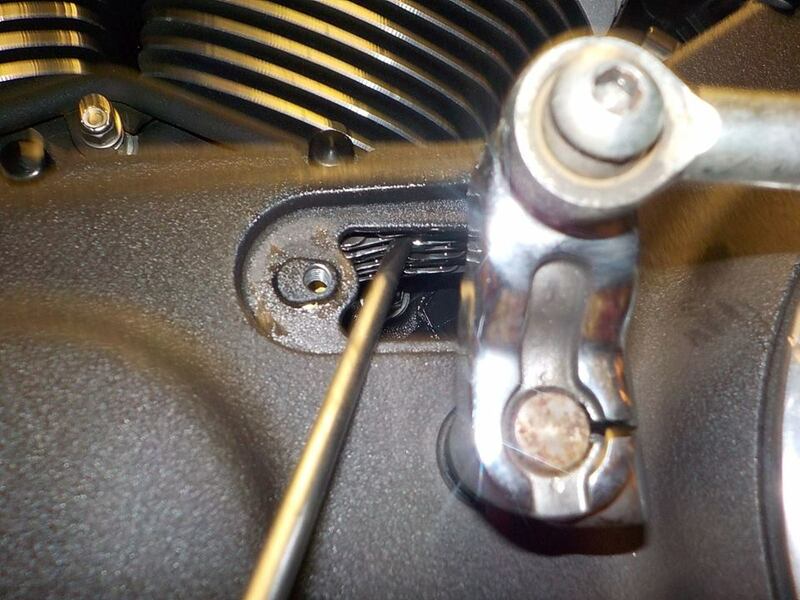 i need the rear disk and pulley , so old wheel out, lock clip loose — bij Twin Motorcycles Buell Support forever. 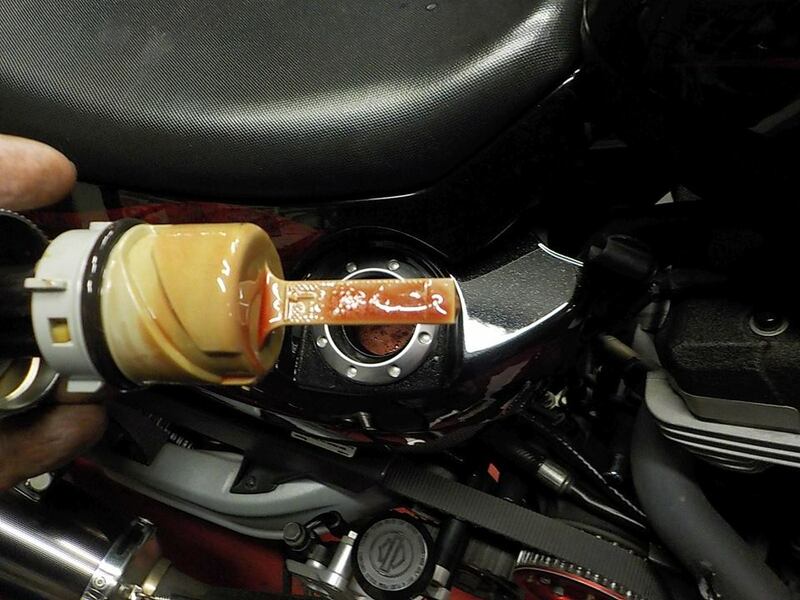 nut off — bij Twin Motorcycles Buell Support forever. 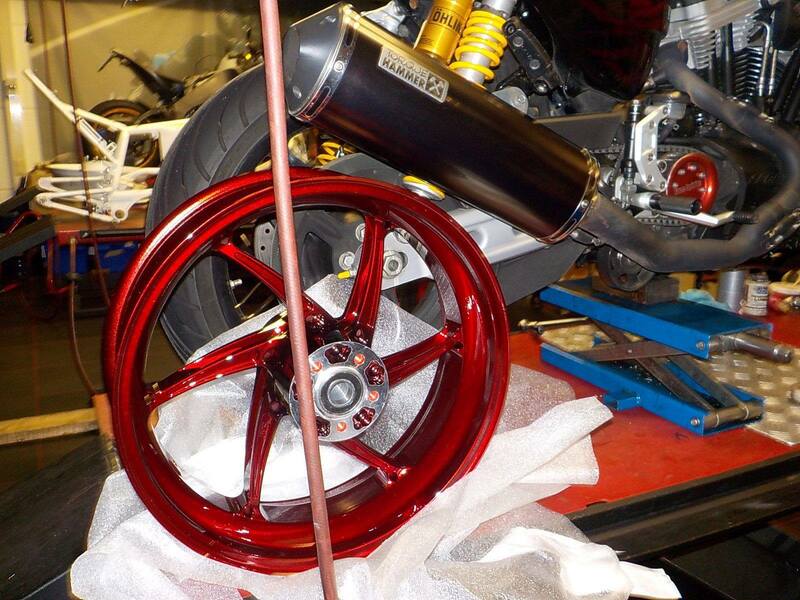 and wheel out — bij Twin Motorcycles Buell Support forever. 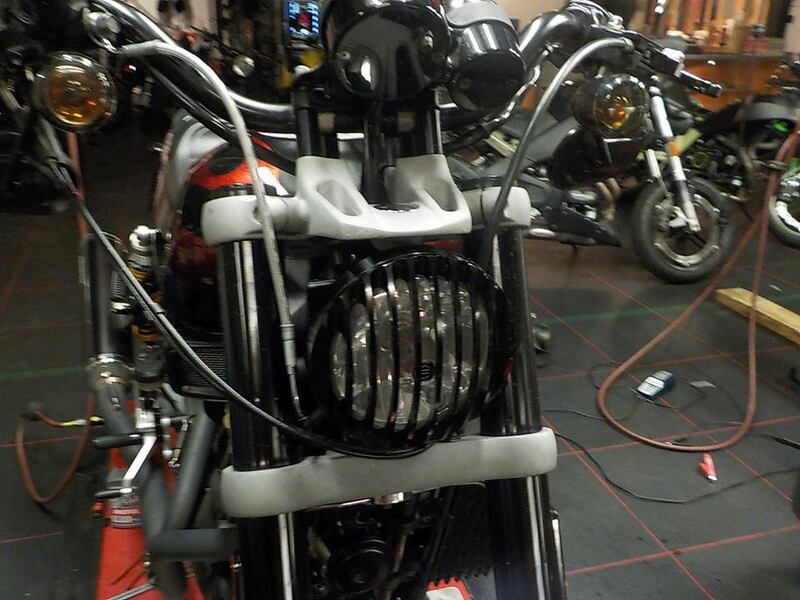 freaking tight the HD stuff.. needed a breaker bar to loosen theme — bij Twin Motorcycles Buell Support forever. 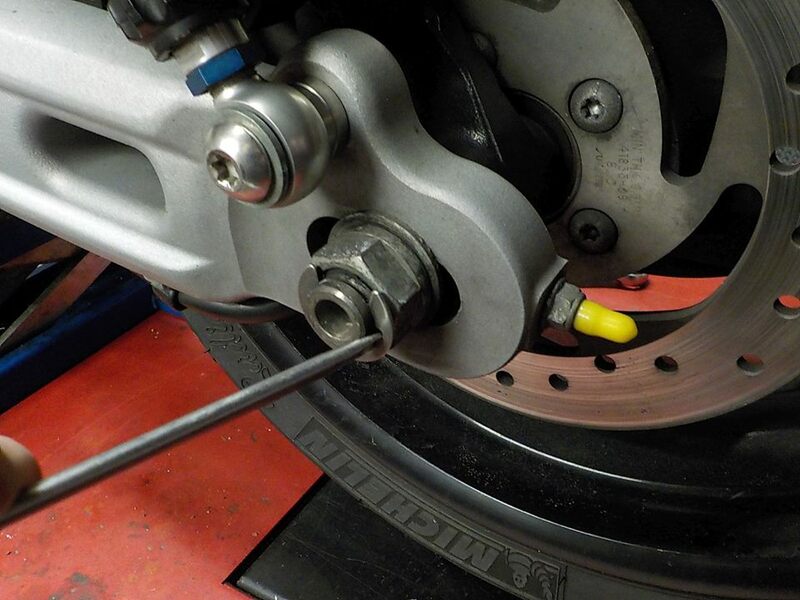 also rear disk off ... i cleaned it a little :-) — bij Twin Motorcycles Buell Support forever. 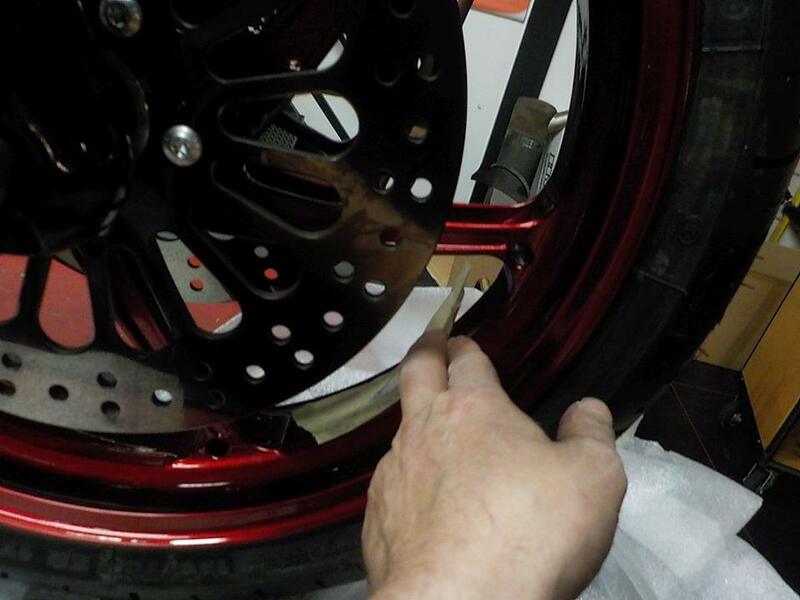 as the wheel was coated.. i run a cleaning tap through the holes to let the loctite set — bij Twin Motorcycles Buell Support forever. 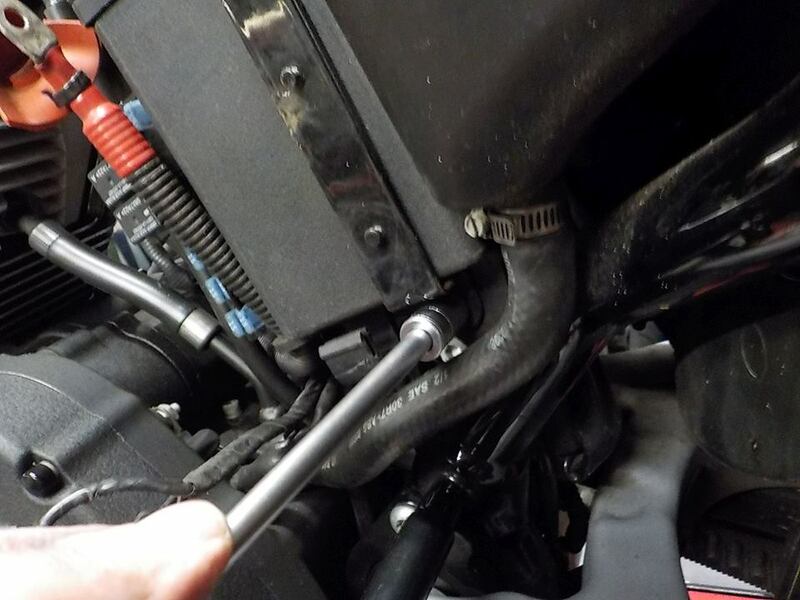 and set the bolt to TQ — bij Twin Motorcycles Buell Support forever. 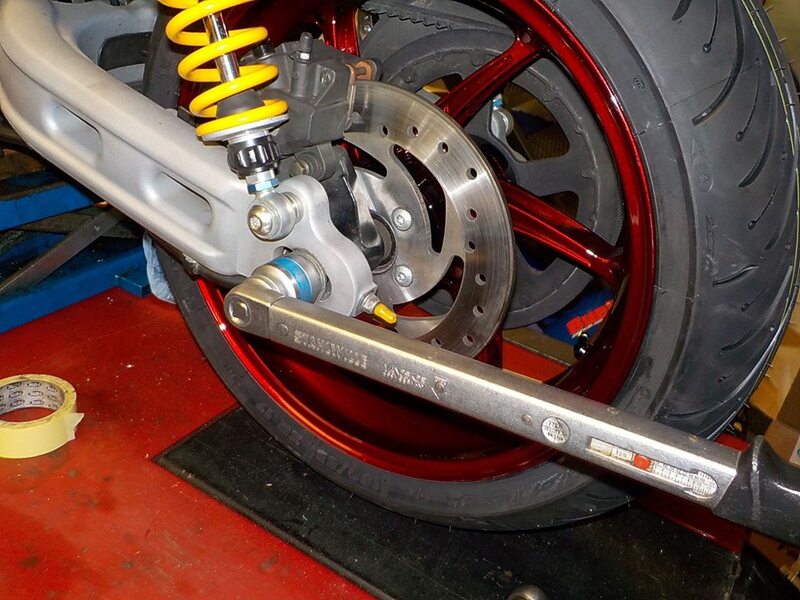 grrrr custom stuf.. never fits.. ;-) need to shorten the pully bolts.. — bij Twin Motorcycles Buell Support forever. 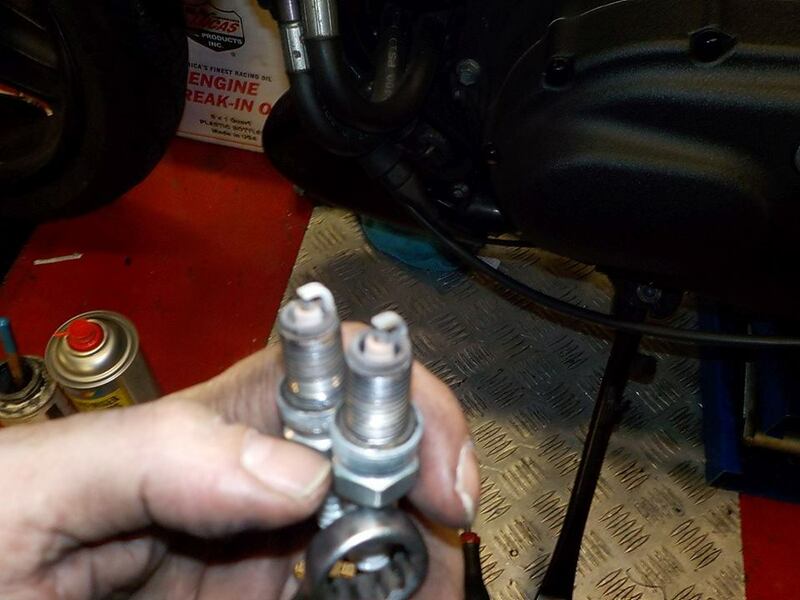 bolt shortened and set to TQ — bij Twin Motorcycles Buell Support forever. 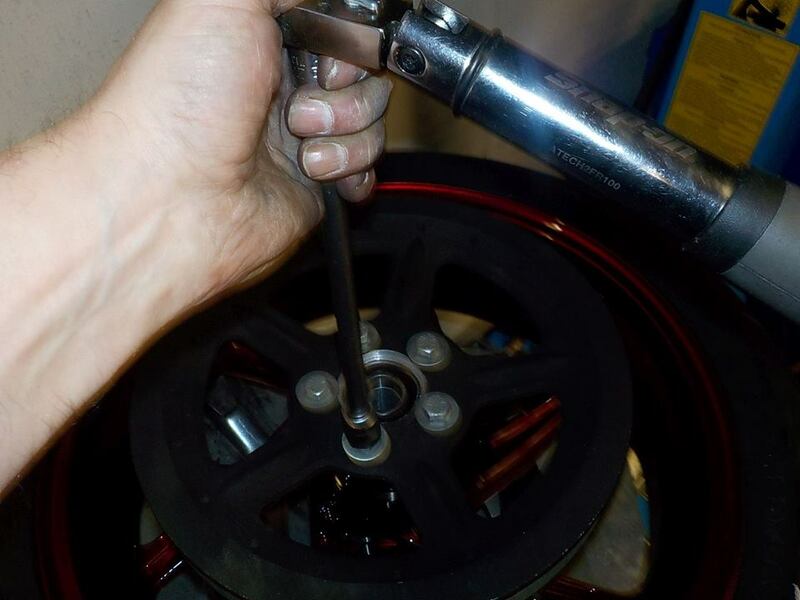 as the rear wheel / caliper is a hand full to mount.. some protection is usefull as i really do not want to be the first to scratch the wheels — bij Twin Motorcycles Buell Support forever. 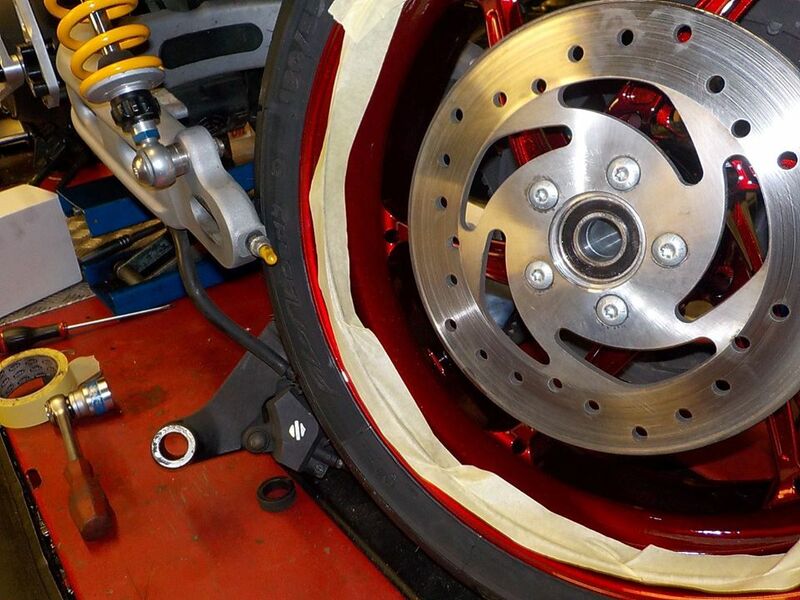 caliper on — bij Twin Motorcycles Buell Support forever. 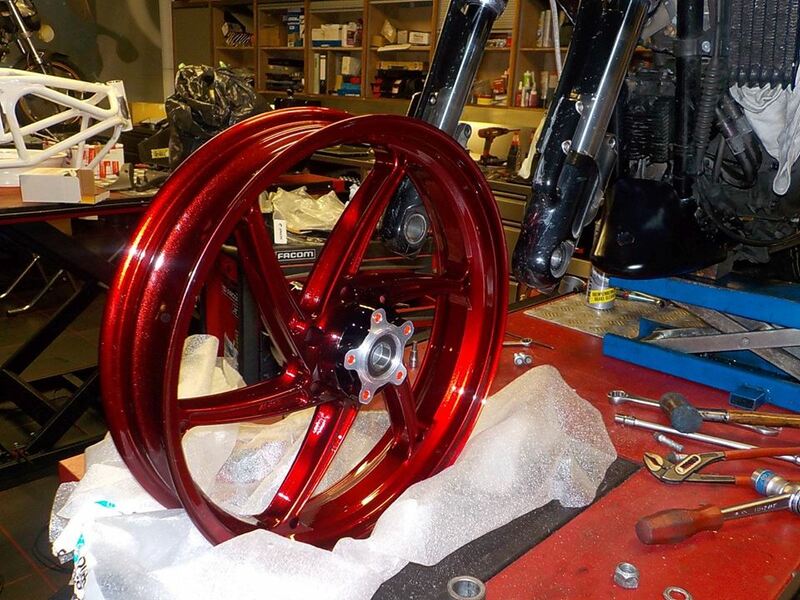 and wheel to TQ — bij Twin Motorcycles Buell Support forever. the battery needs replacement.. you can leaf the cover hanging. 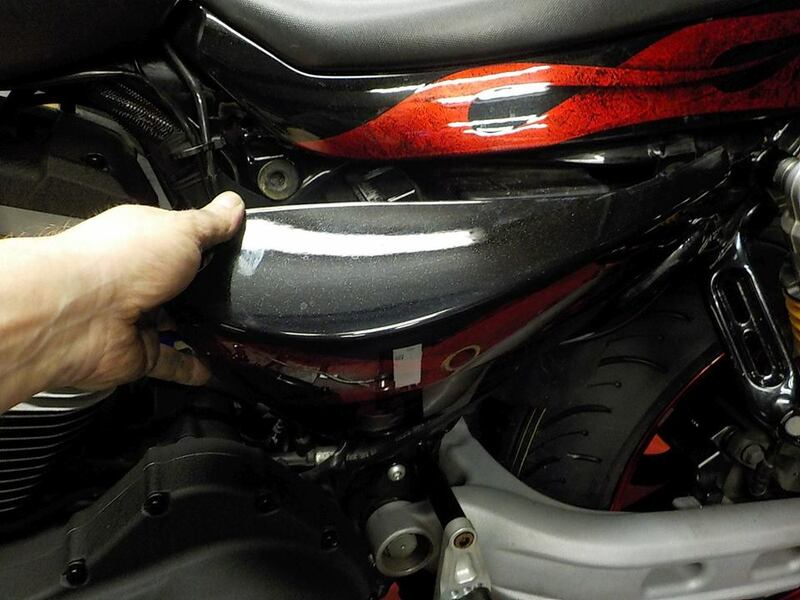 but with the paint work i remove it completely — bij Twin Motorcycles Buell Support forever. 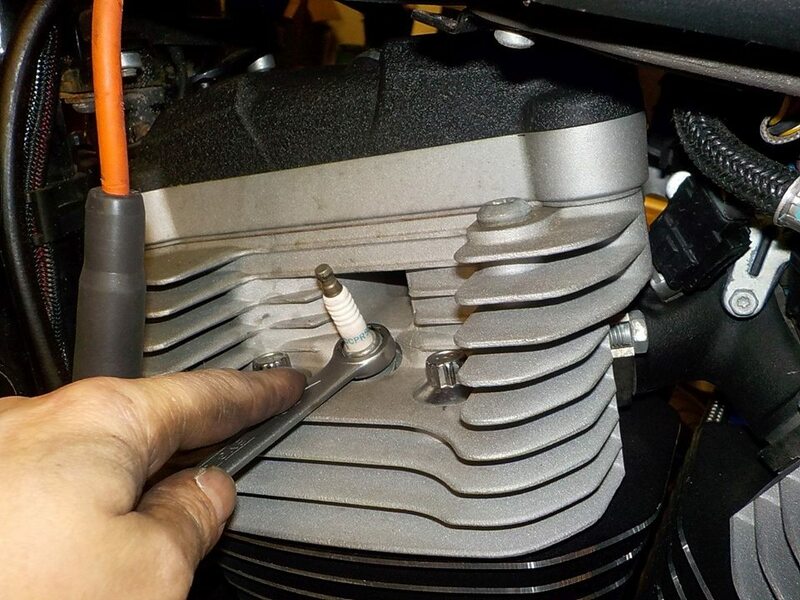 trick to remove a battery pole with out the alarm going off.. switch on the ignition — bij Twin Motorcycles Buell Support forever. 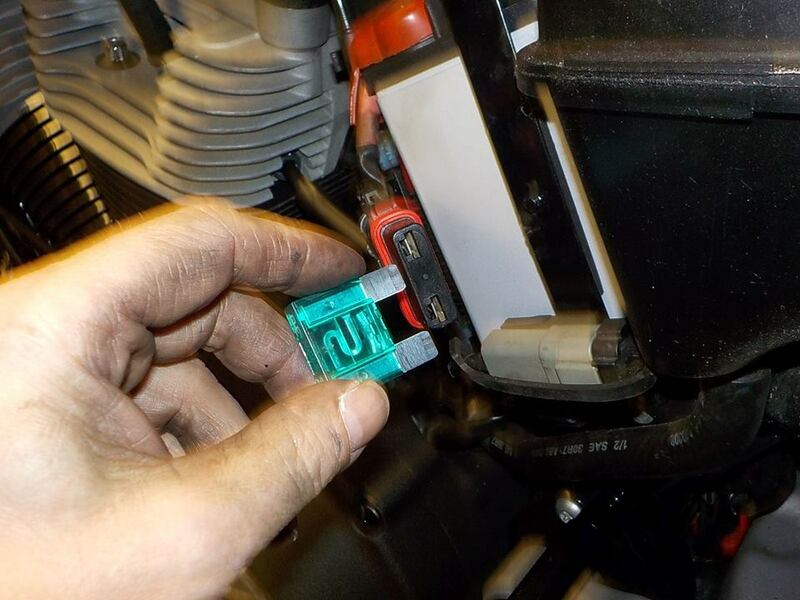 and pull ou the big main fuse ( or unscrew the positive pole ) — bij Twin Motorcycles Buell Support forever. 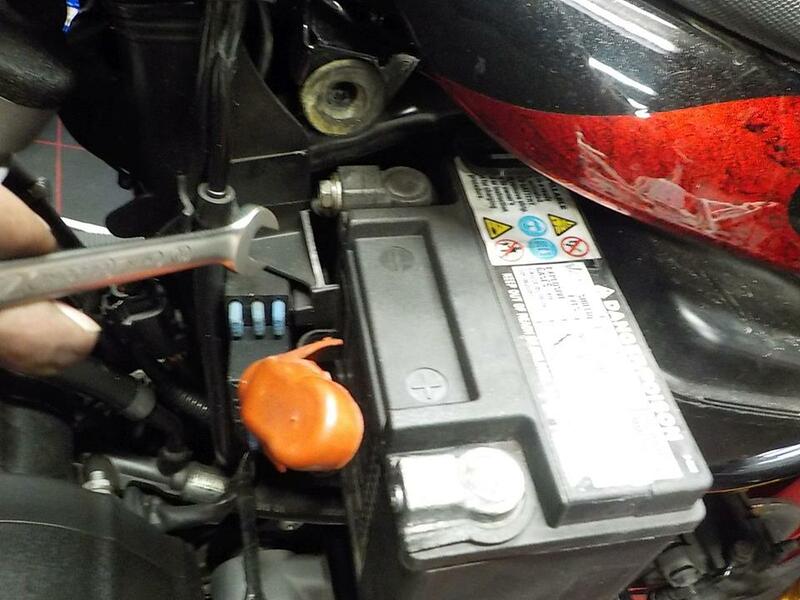 battery brace loose — bij Twin Motorcycles Buell Support forever. 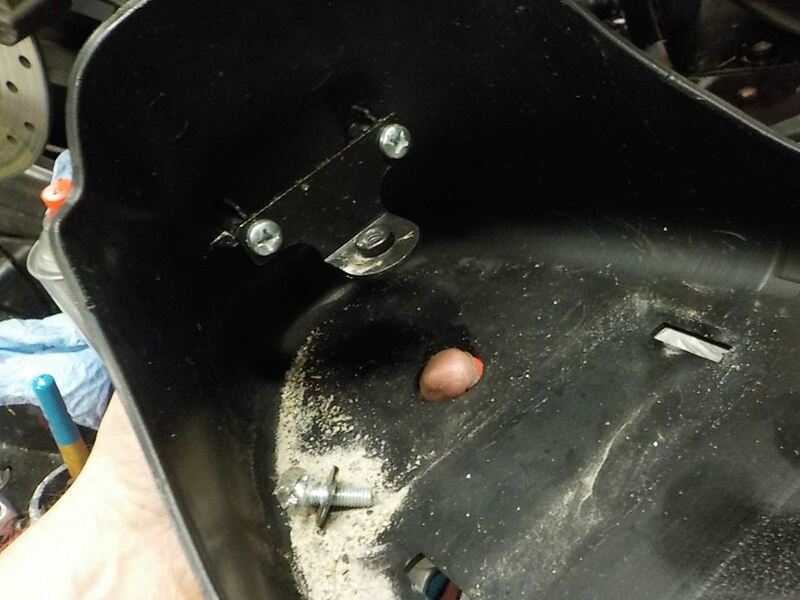 positive is easy... negatice is a crime .. pull the battery out and unscrew the bolt — bij Twin Motorcycles Buell Support forever. 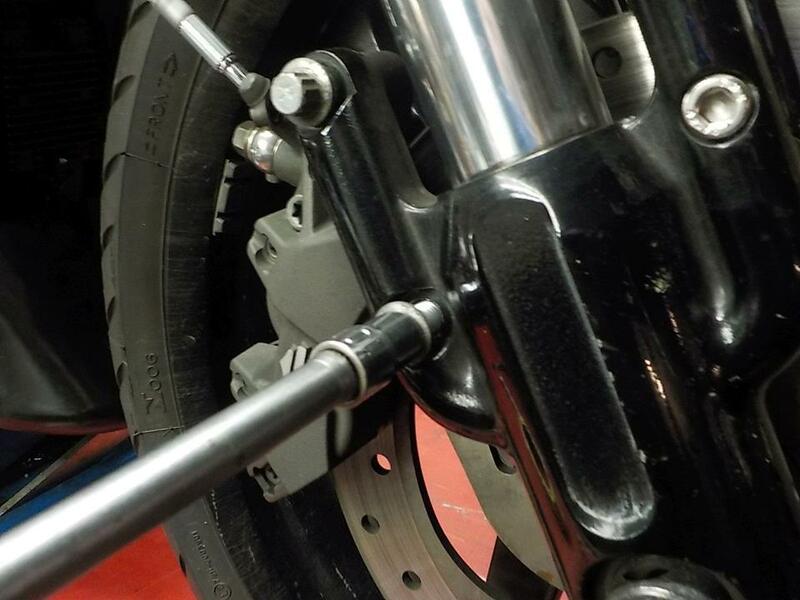 while mounting.. position the negative so the pole will not twist to much as this loosens the bolt — bij Twin Motorcycles Buell Support forever. 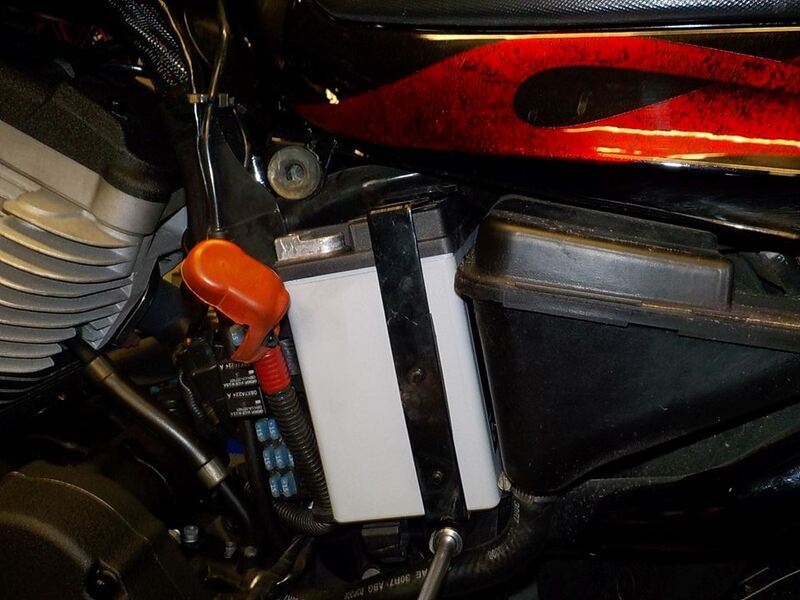 battery connected and main fuse back in and place the cover back on — bij Twin Motorcycles Buell Support forever. 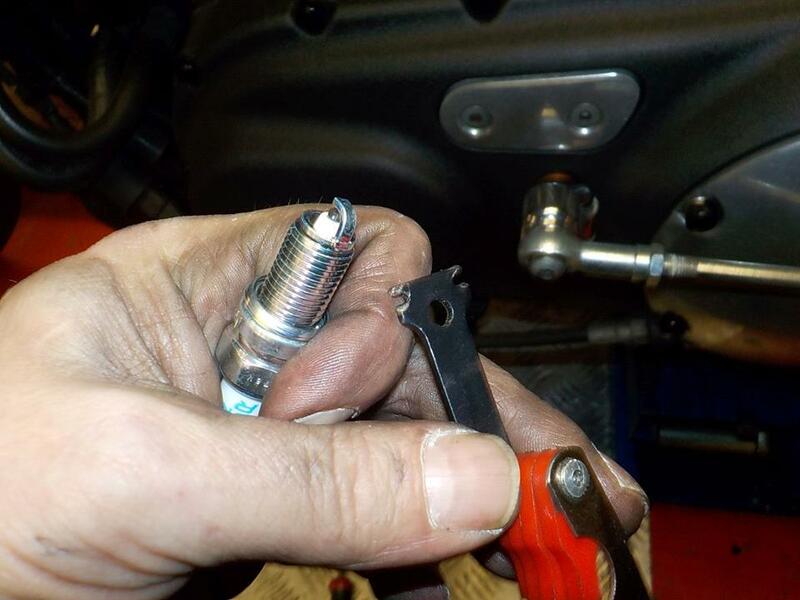 sprak plugs change now before the engine is hot — bij Twin Motorcycles Buell Support forever. 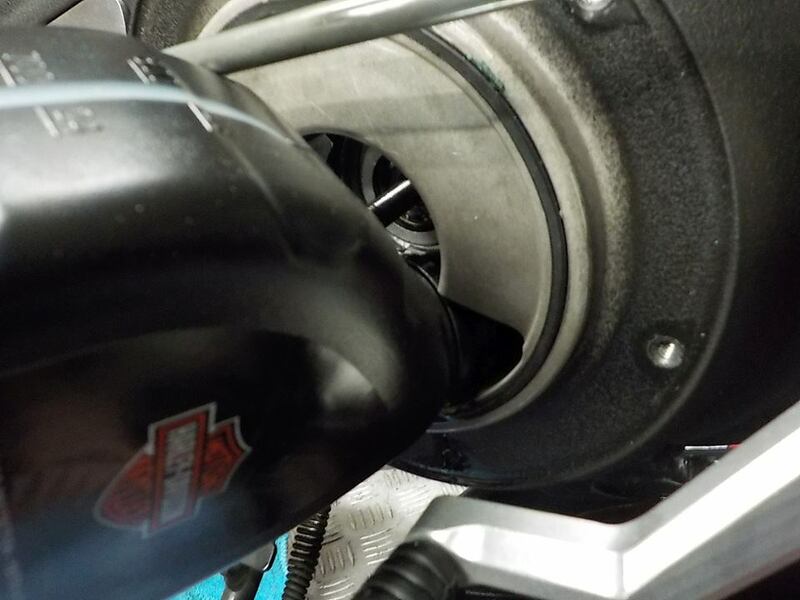 perfect combustion with our STAGE 1 KIT (TTS KIT airbox and exhaust and Tune) :-) — bij Twin Motorcycles Buell Support forever. 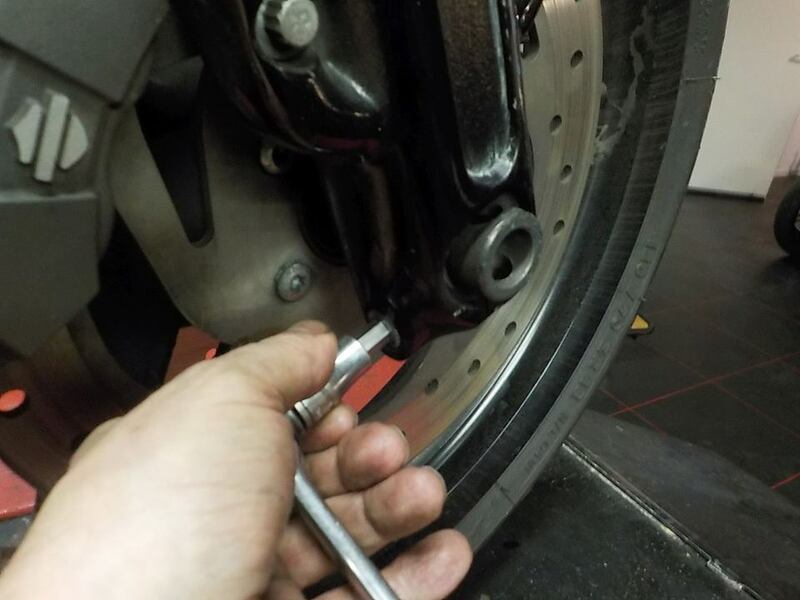 new plug.. checking and setting the gap , out the factory they are not correct — bij Twin Motorcycles Buell Support forever. 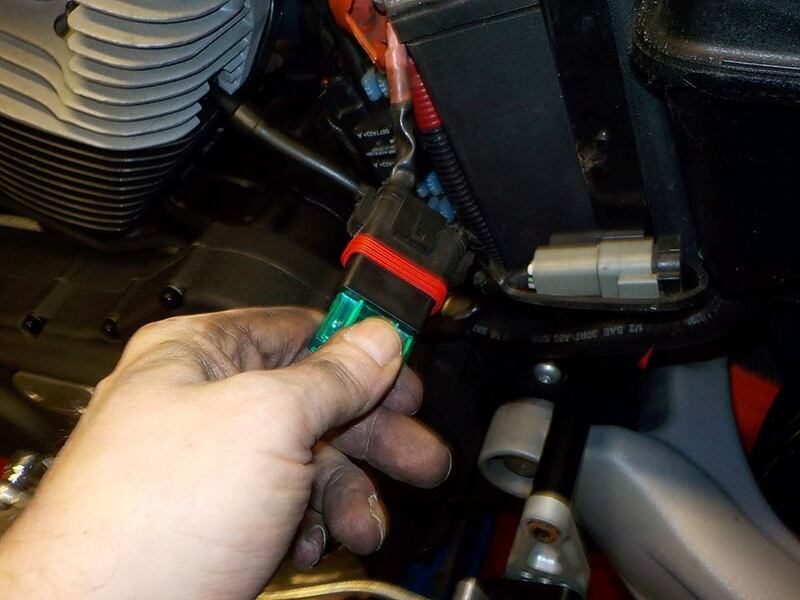 xr1200 do this the same as the 08 up buell models... leave theme standing.. and the oil wil flow back into the case.. giving a false reading when you check it cold — bij Twin Motorcycles Buell Support forever. 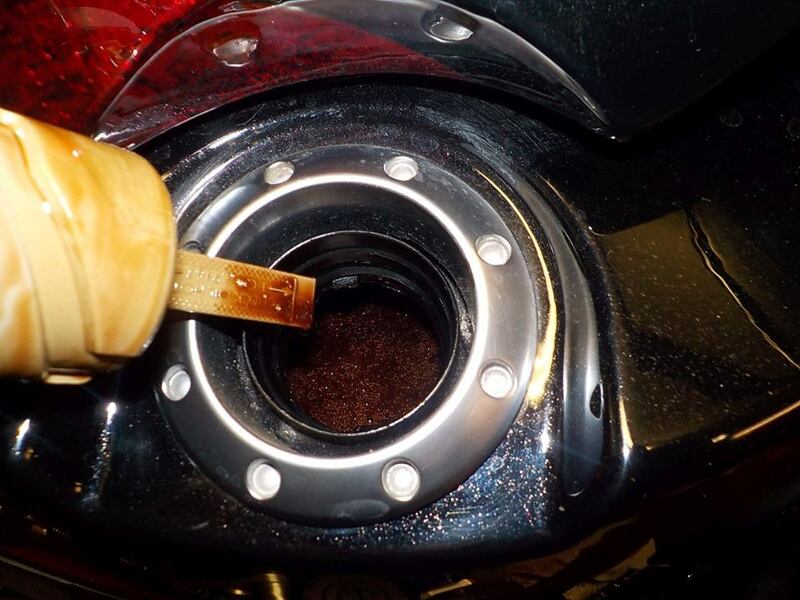 so if you know you parked here with oil on level.. and there is no big puddle under the bike.. save to start.. and first let the oil come back in the tank before you check the level — bij Twin Motorcycles Buell Support forever. 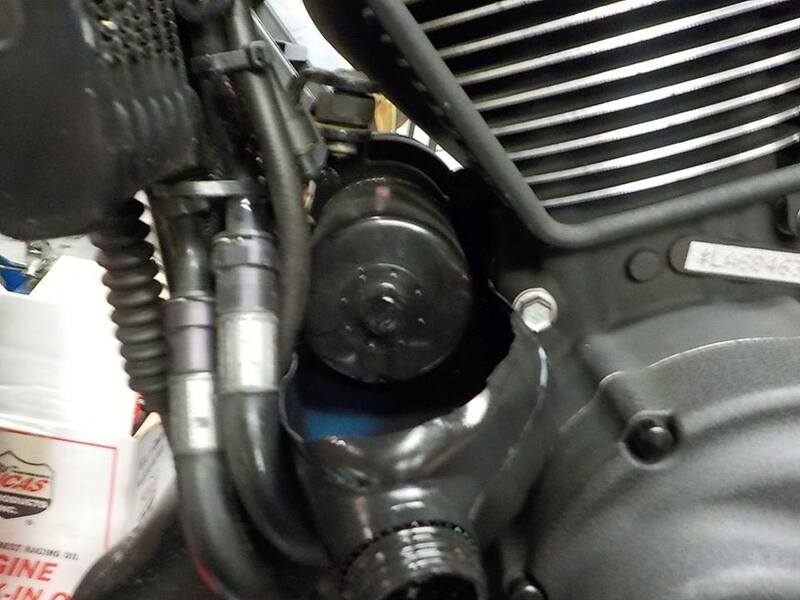 or drain in this case — bij Twin Motorcycles Buell Support forever. 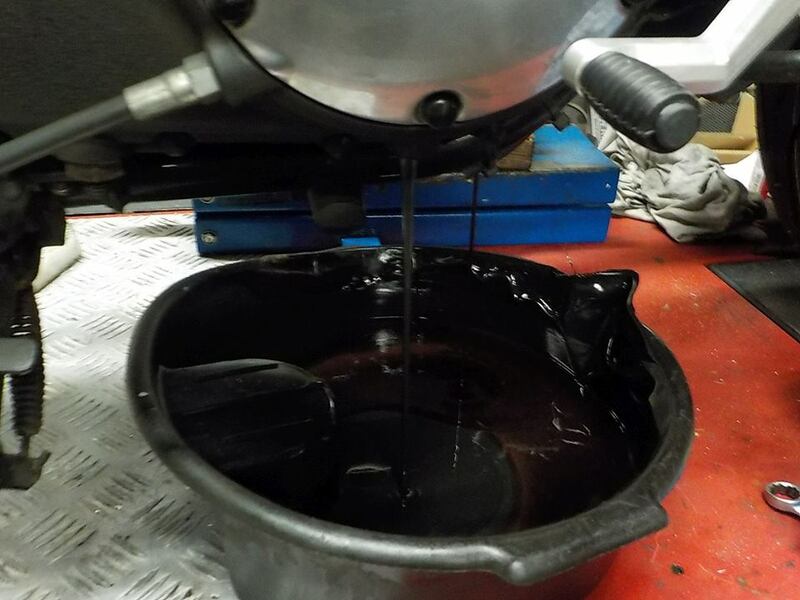 new gearbox oil in — bij Twin Motorcycles Buell Support forever. 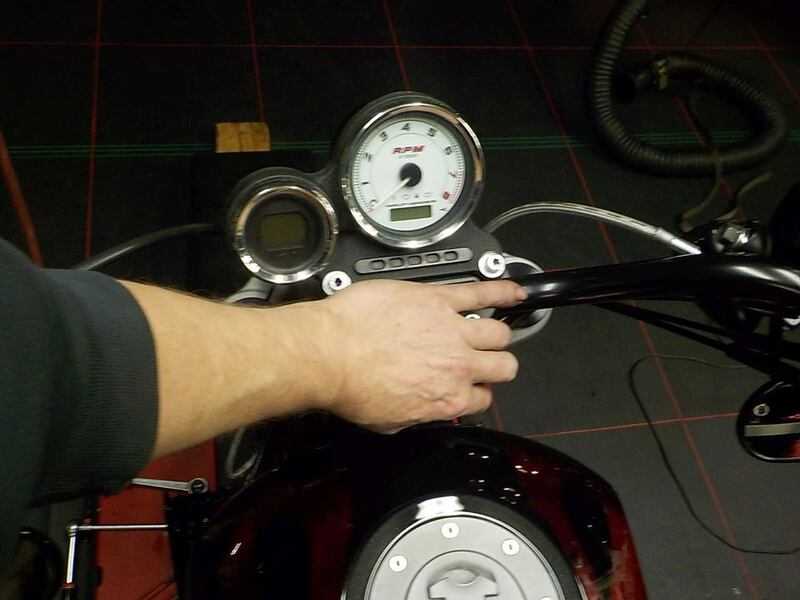 checking the primairy tension .. cover needs to come off — bij Twin Motorcycles Buell Support forever. 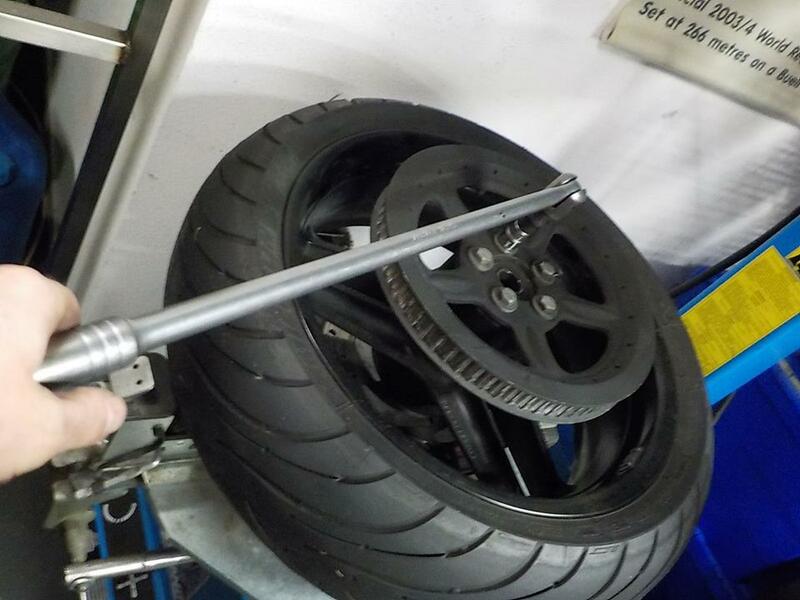 mnn.. little to loose on one side.. but very important to check this on more than 2 points.. as the chain can have a tight spot — bij Twin Motorcycles Buell Support forever. 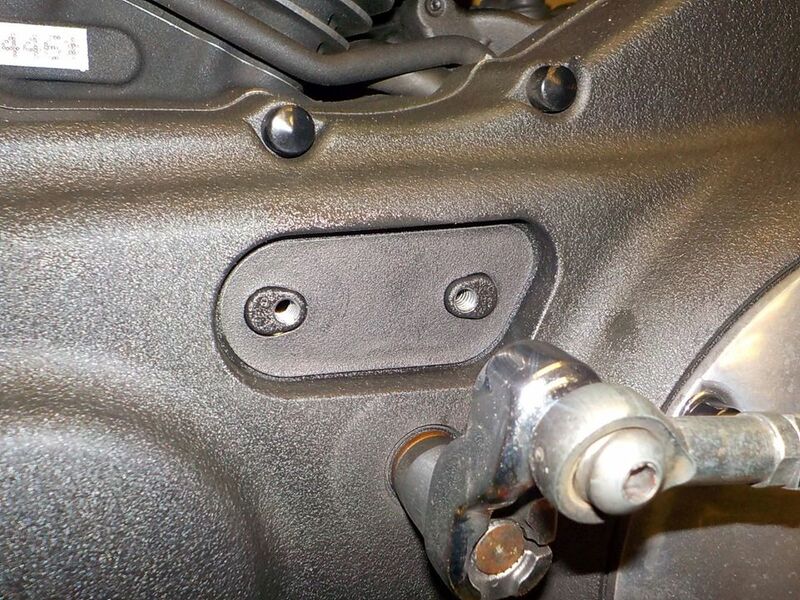 new gasket on and covr back on — bij Twin Motorcycles Buell Support forever. 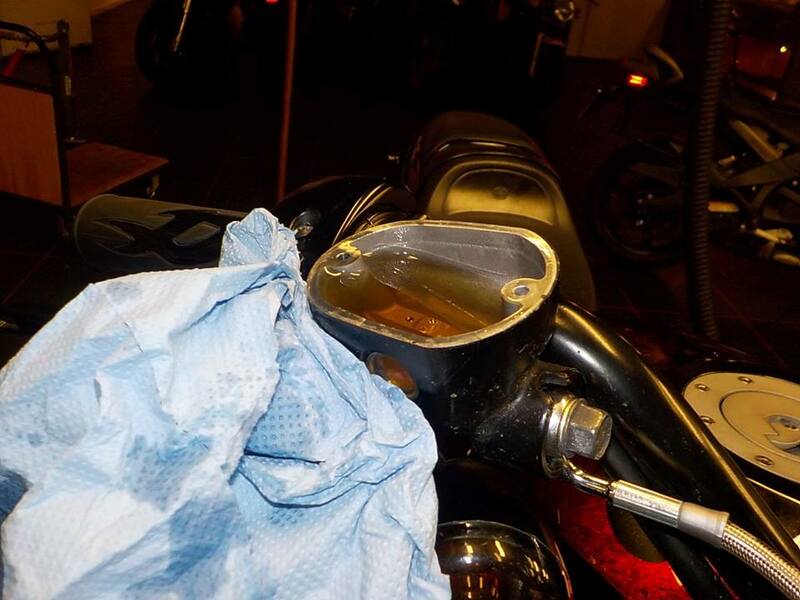 i hate the oil filter mounting point on these bikes, slided a cut bottle under so i can remove the filter with out to much spil — bij Twin Motorcycles Buell Support forever. 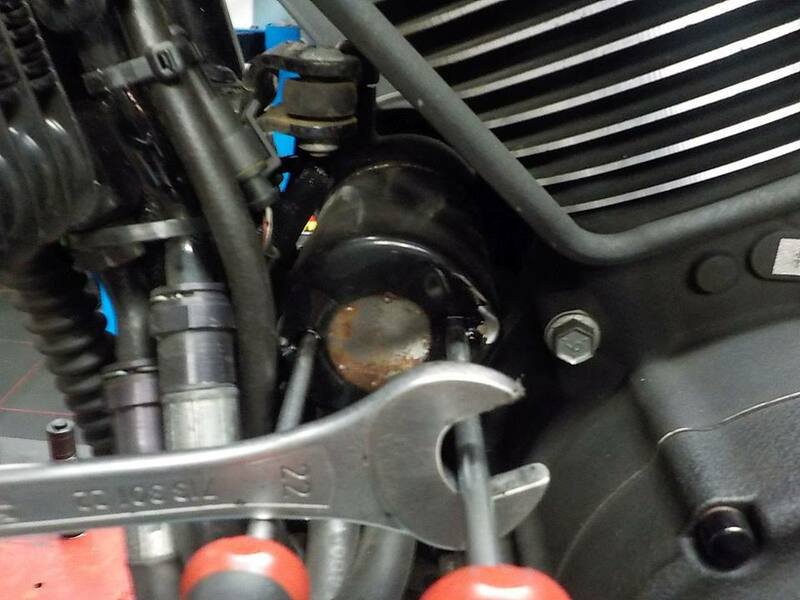 aaaah crap.... that is a first is break off the oil filter drive nut — bij Twin Motorcycles Buell Support forever. 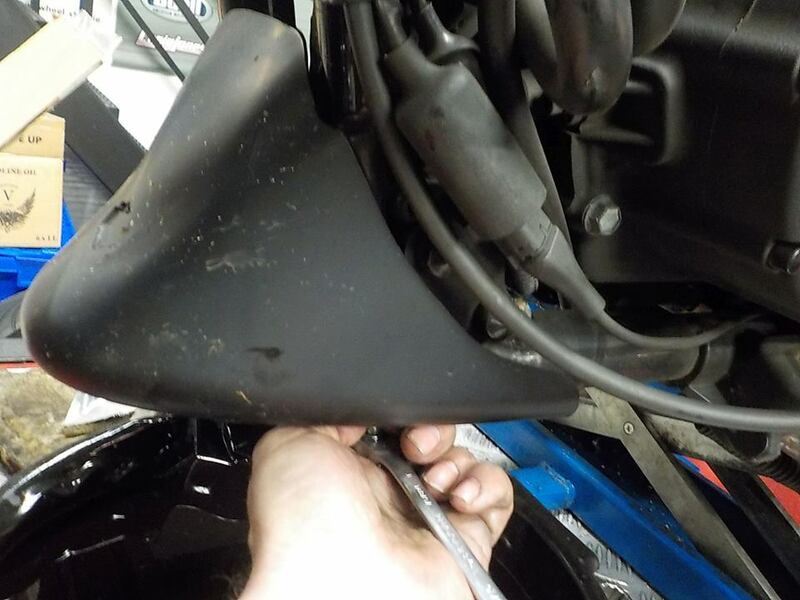 will take off the chin spoiler now , other wise this will spill with oil — bij Twin Motorcycles Buell Support forever. 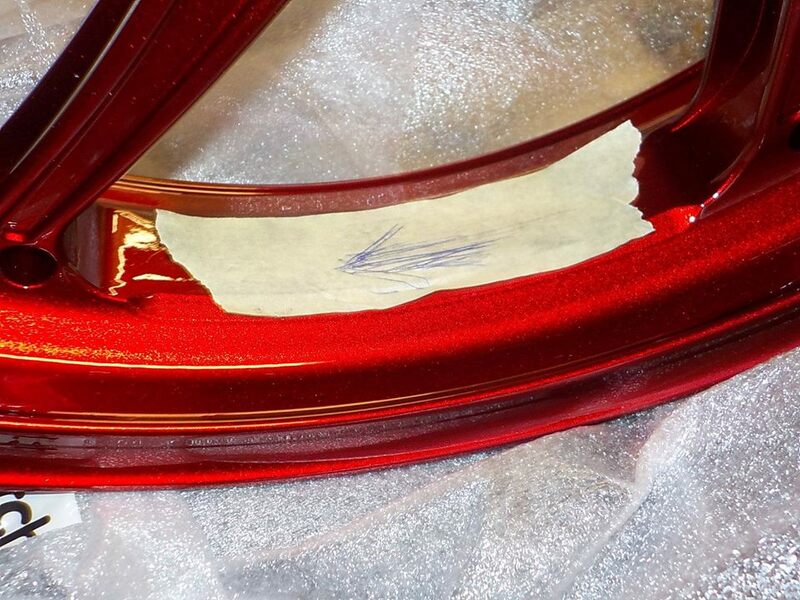 chin spoiler off — bij Twin Motorcycles Buell Support forever. 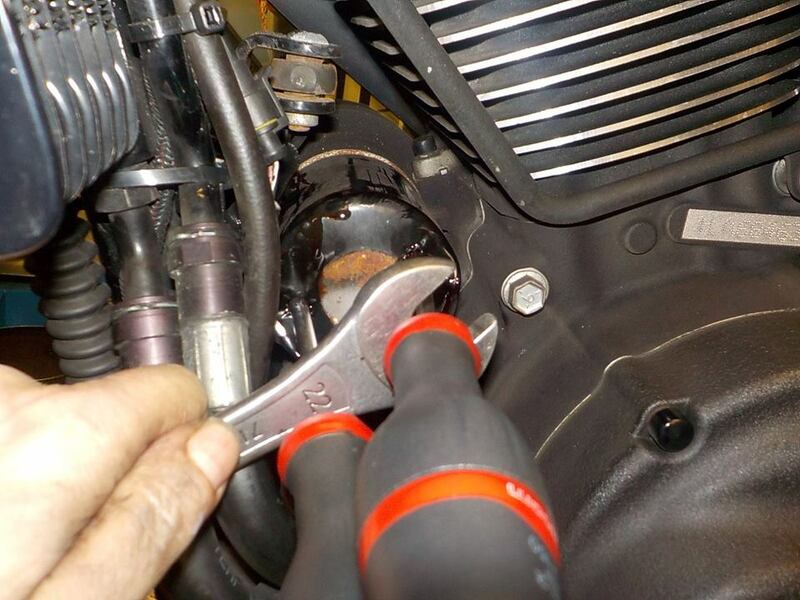 2 large flat screw drivers... a box wrench.. and a good grip to unscrew the old oil filter — bij Twin Motorcycles Buell Support forever. 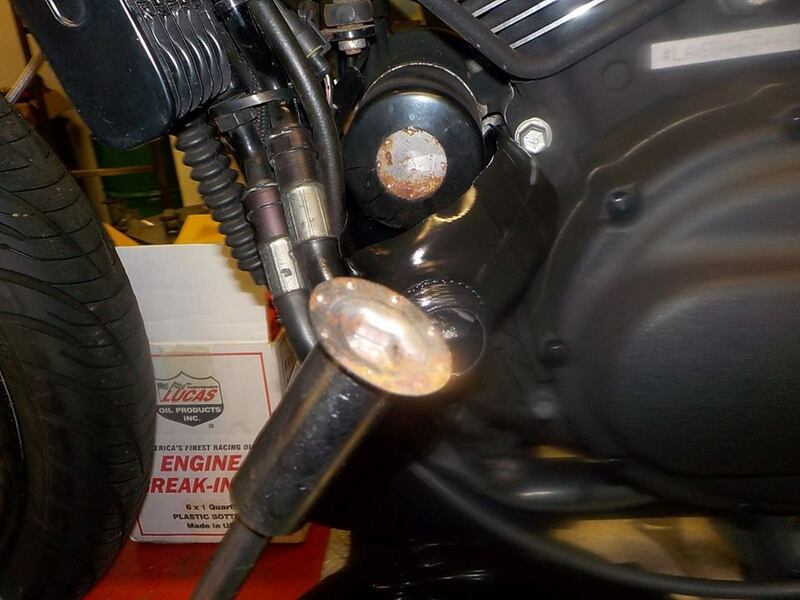 luckaly not to tight.. as it can be a complete pain to get theme off — bij Twin Motorcycles Buell Support forever. 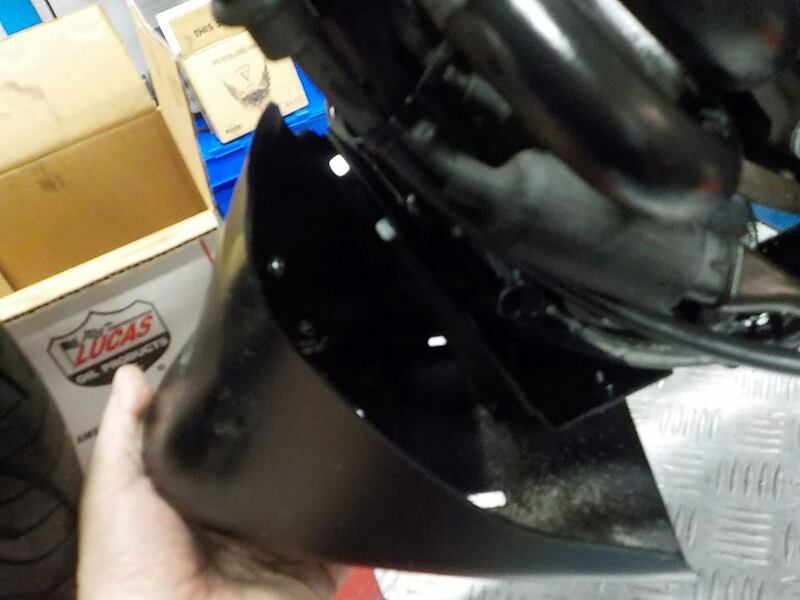 chin spoiler back on after some cleaning — bij Twin Motorcycles Buell Support forever. 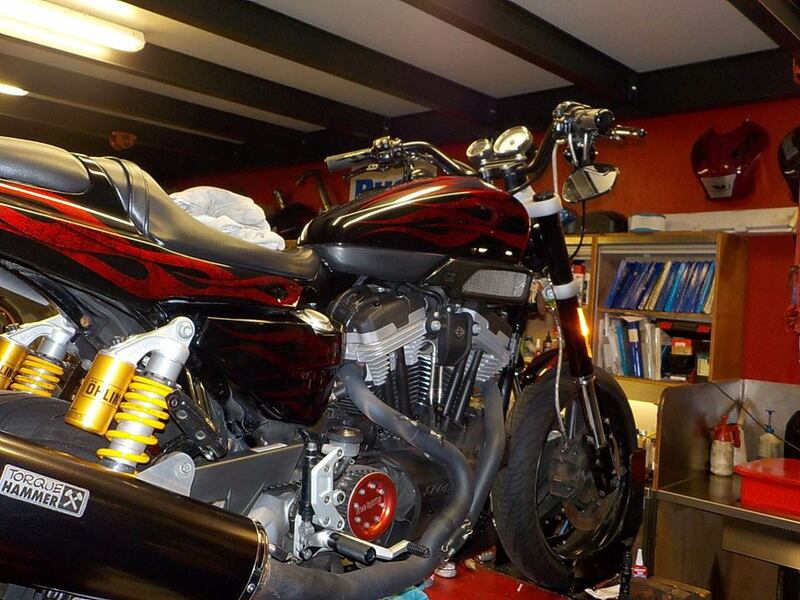 and time to do the front end — bij Twin Motorcycles Buell Support forever. 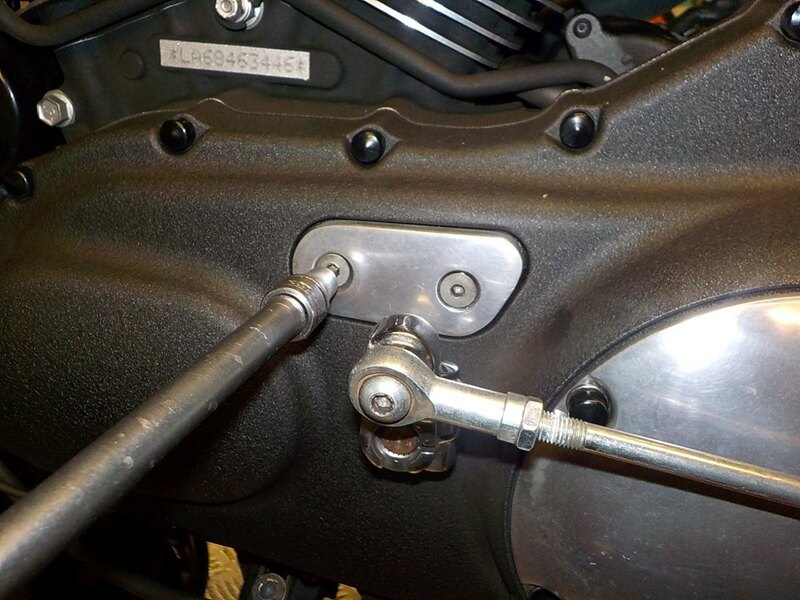 pinch bolt loose — bij Twin Motorcycles Buell Support forever. 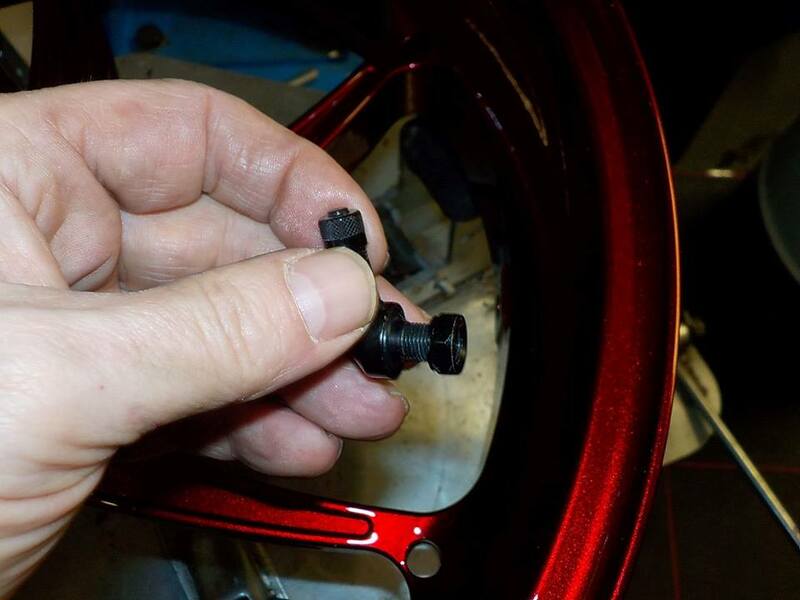 caliper bolts loose 10 mm mutlitooth socket — bij Twin Motorcycles Buell Support forever. 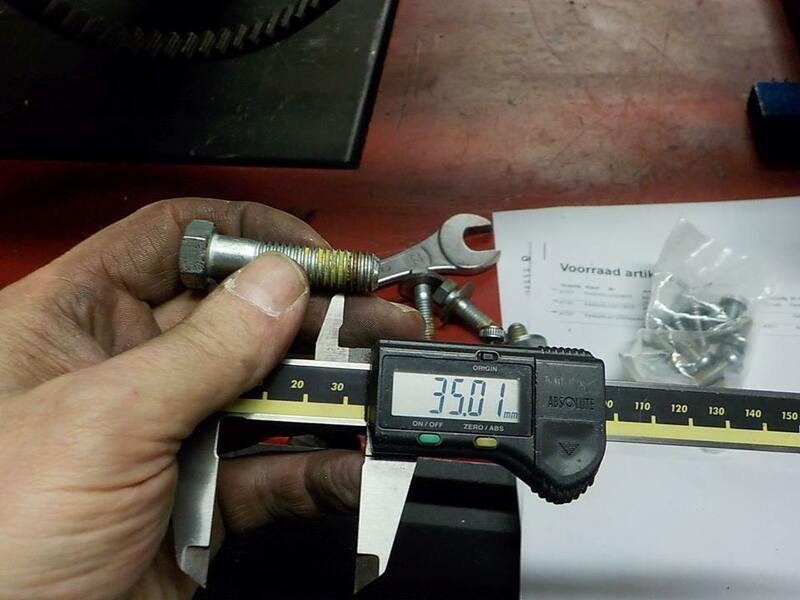 and axle nut of — bij Twin Motorcycles Buell Support forever. 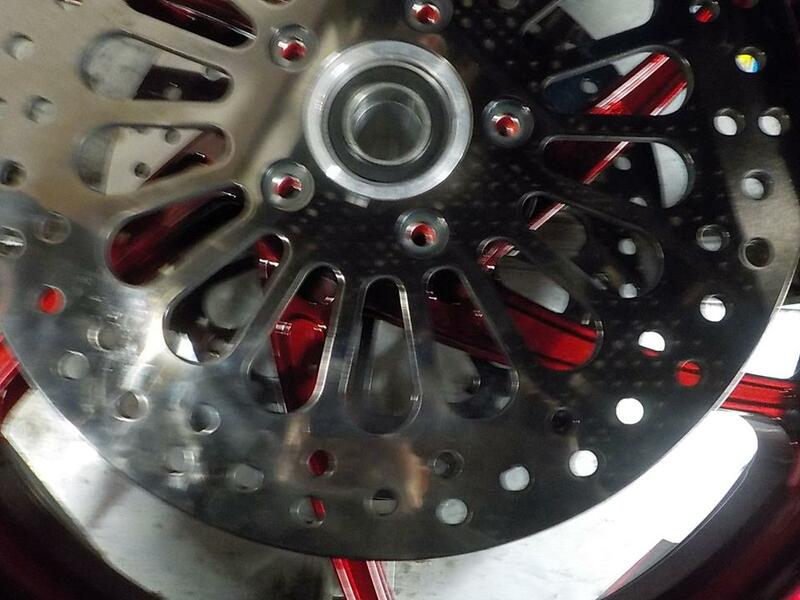 bling.... — bij Twin Motorcycles Buell Support forever. 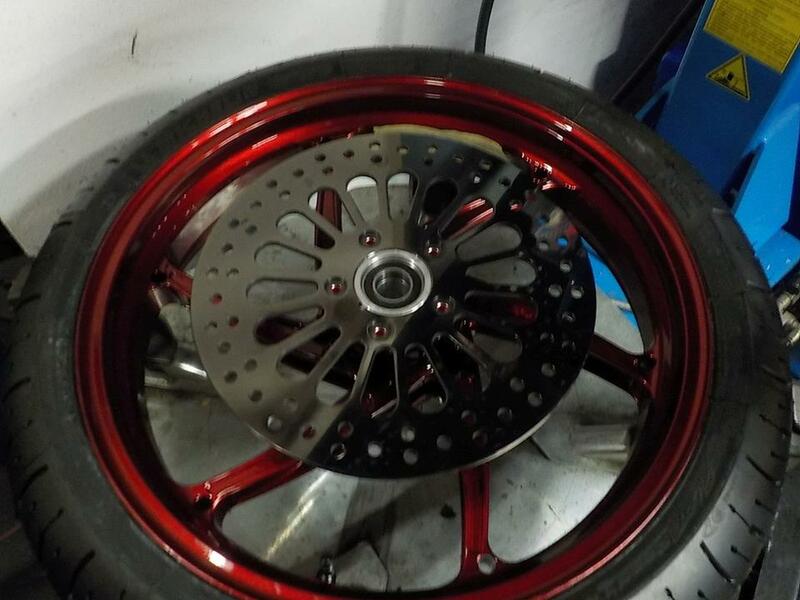 eeehhh check... and check again , what way will the wheel turn ( the off factory mounting stickers are gone for the paint — bij Twin Motorcycles Buell Support forever. 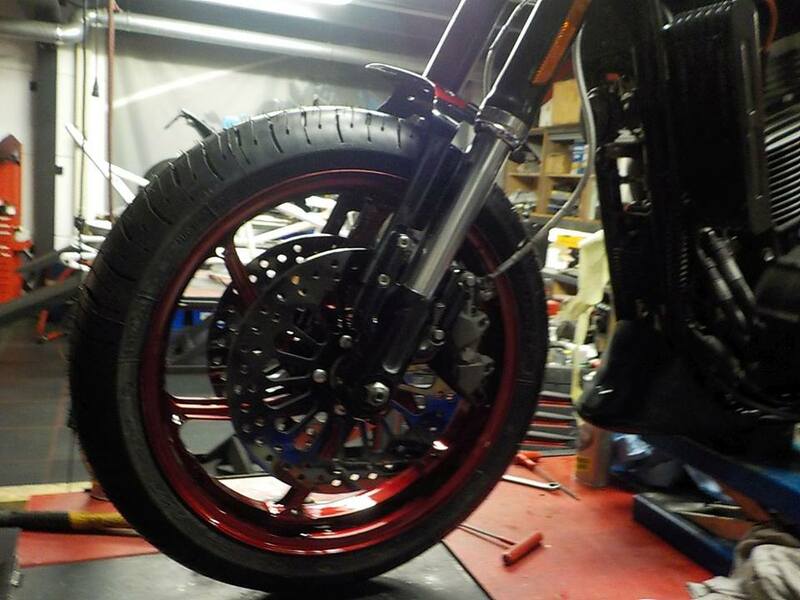 new disk on the wheels and new tire on — bij Twin Motorcycles Buell Support forever. 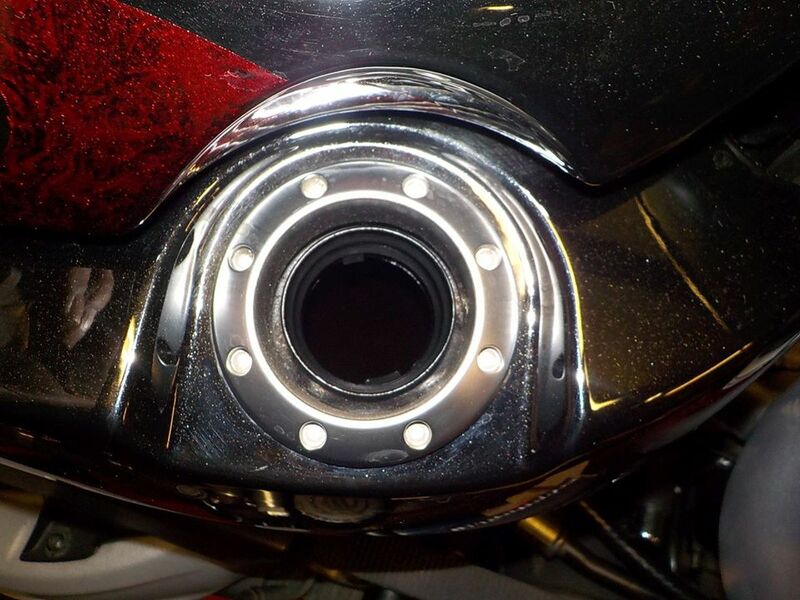 check the alignment on the disks... as i want theme to be symetrical, if i turn theme to the next hole they are off some degree — bij Twin Motorcycles Buell Support forever. 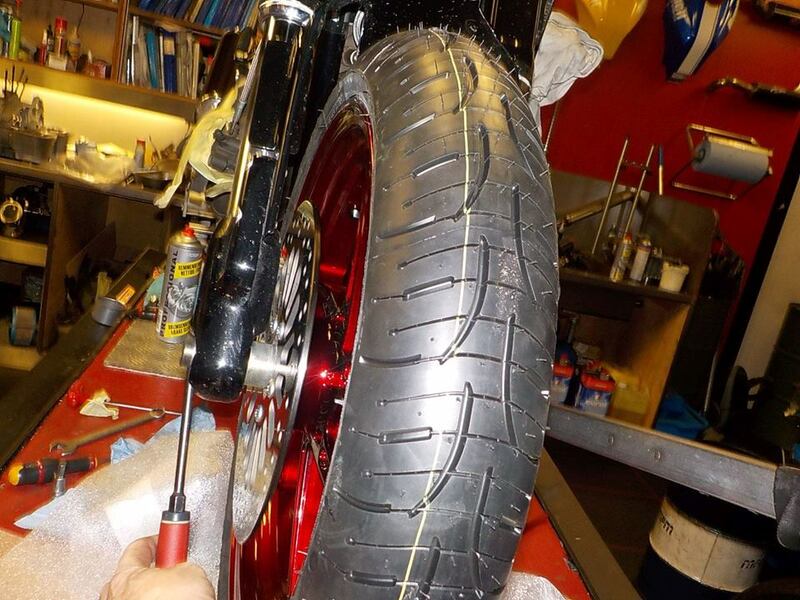 tire correct mounted.. and wheel in position — bij Twin Motorcycles Buell Support forever. 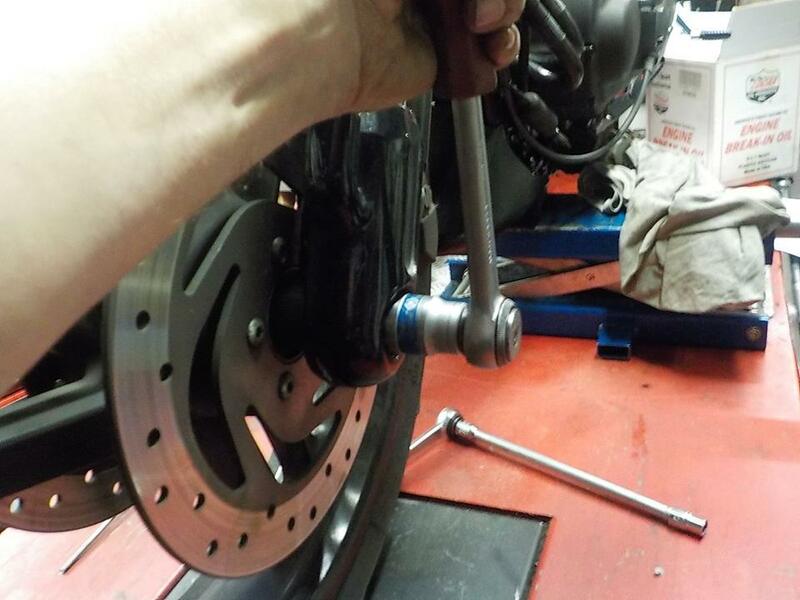 axle in and set nut to tq — bij Twin Motorcycles Buell Support forever. 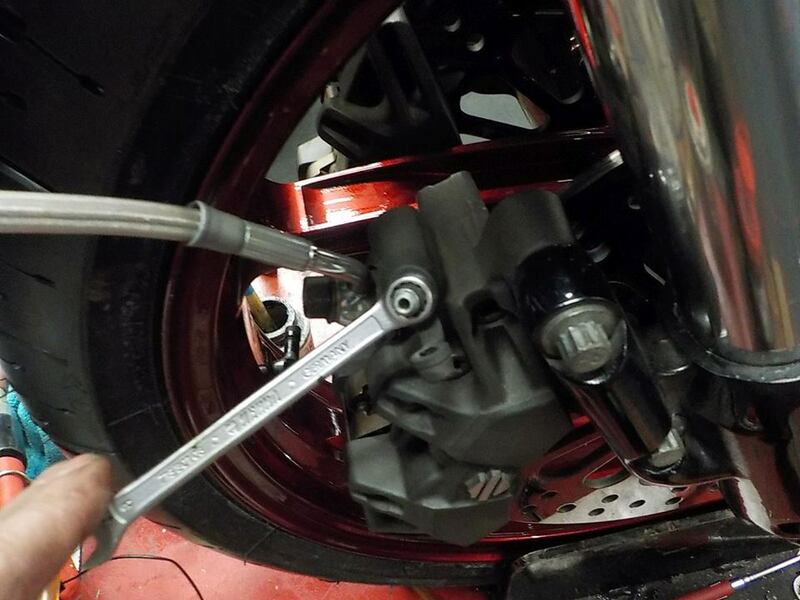 calipers back on — bij Twin Motorcycles Buell Support forever. 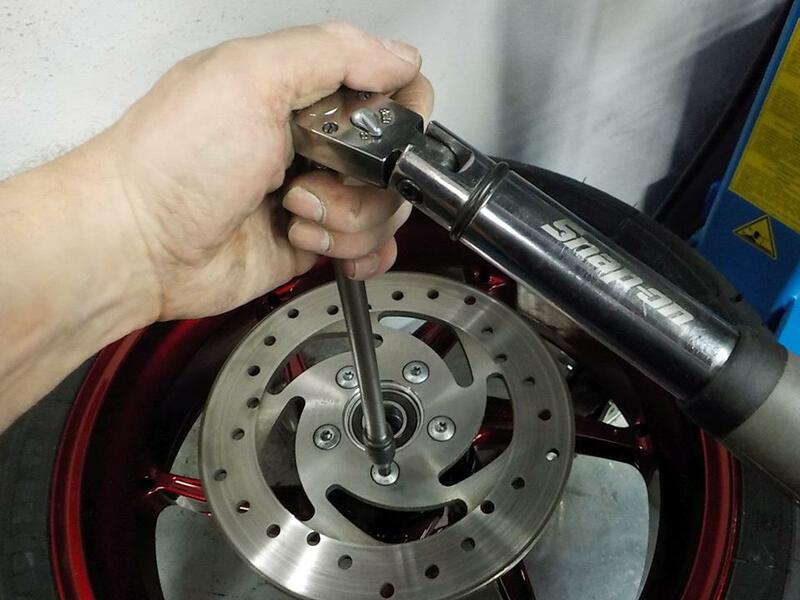 push down the suspention some times.. to set the forks on the axle and tighten the pich bolt — bij Twin Motorcycles Buell Support forever. 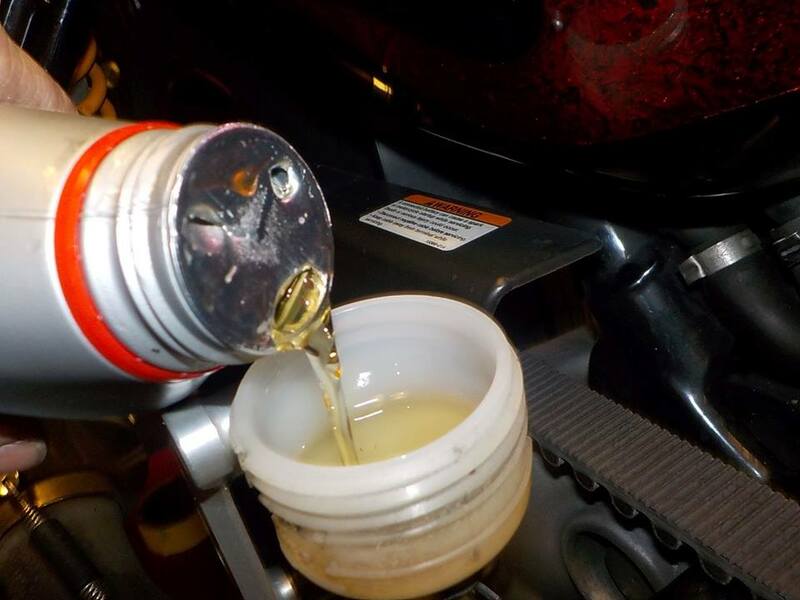 and letting here rumble, warming up to check the oil level — bij Twin Motorcycles Buell Support forever. ok.. for now — bij Twin Motorcycles Buell Support forever. 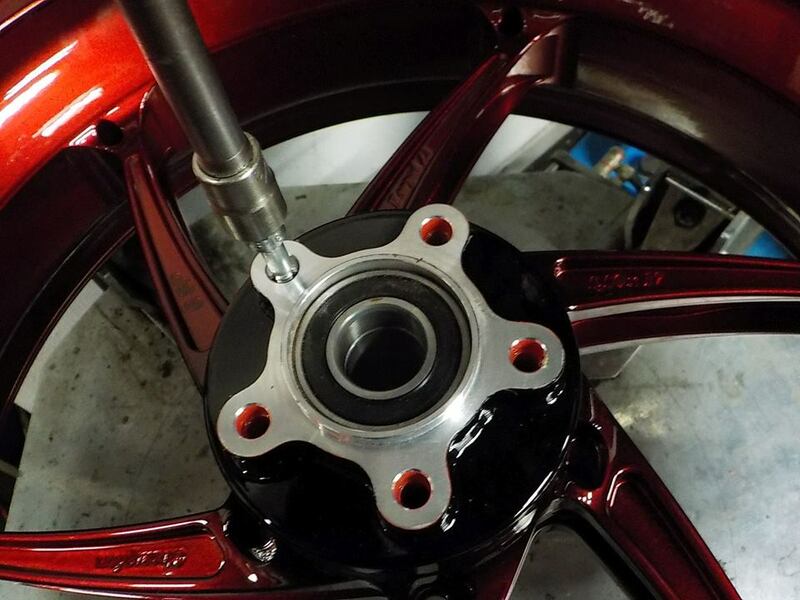 changing the brake fluid.. will keep a little lower level. 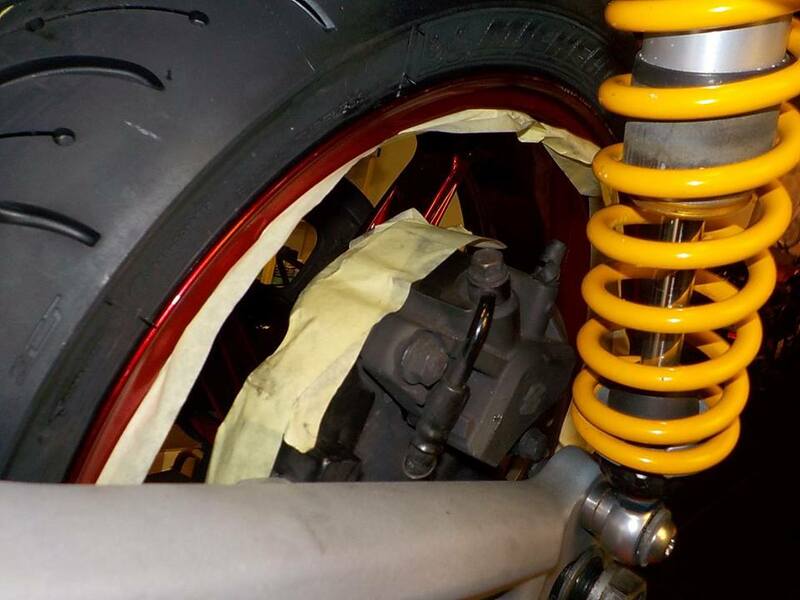 with the master turned a little like this , — bij Twin Motorcycles Buell Support forever. 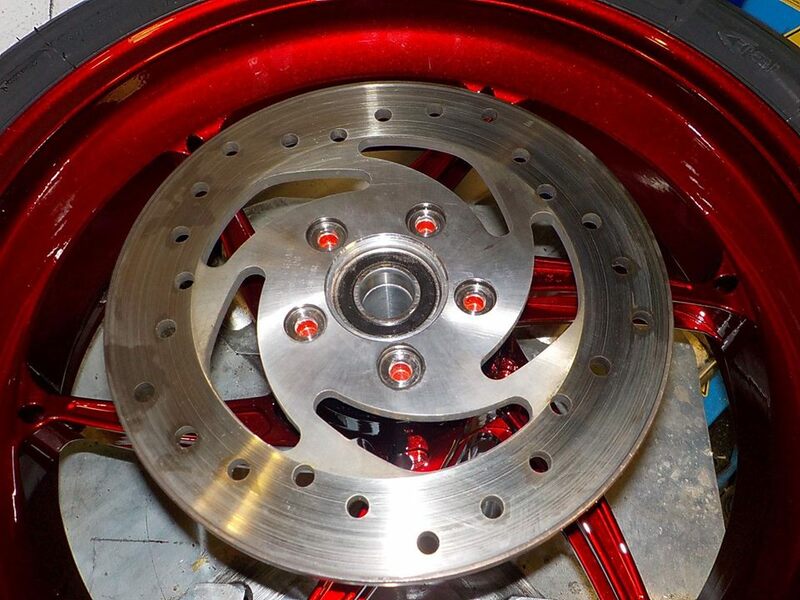 why douse 1 caliper use 8mm and the other 10 mm bleeder ? — bij Twin Motorcycles Buell Support forever. 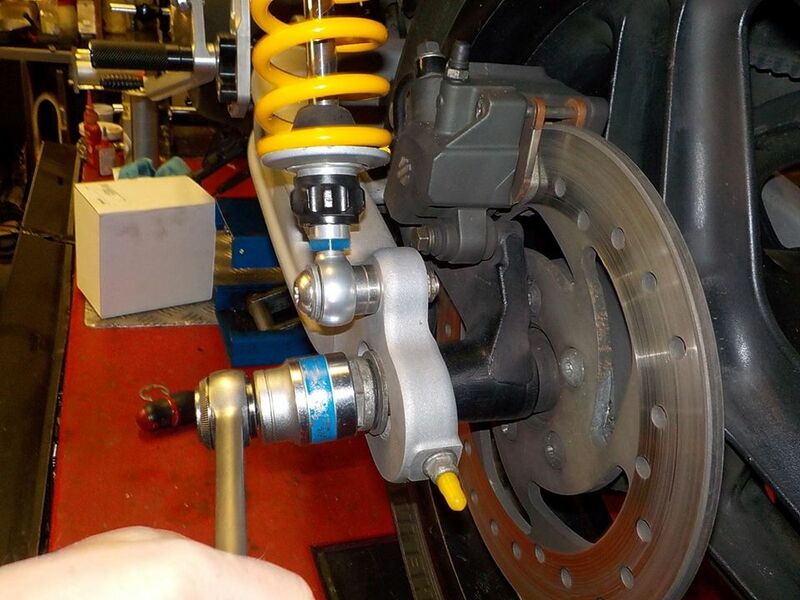 and do the rear brakes.. as these heavy bikes use the rear much — bij Twin Motorcycles Buell Support forever. 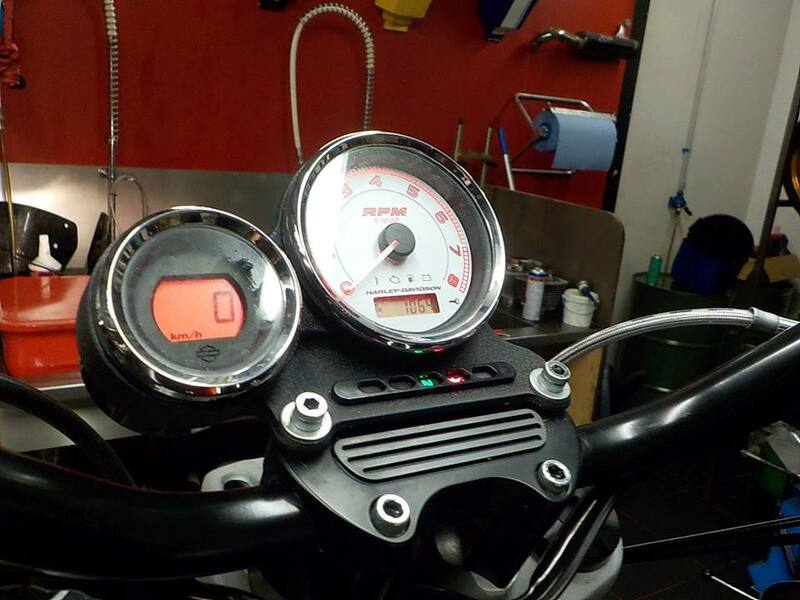 she is ready for test ride.. nice head light grill — bij Twin Motorcycles Buell Support forever.